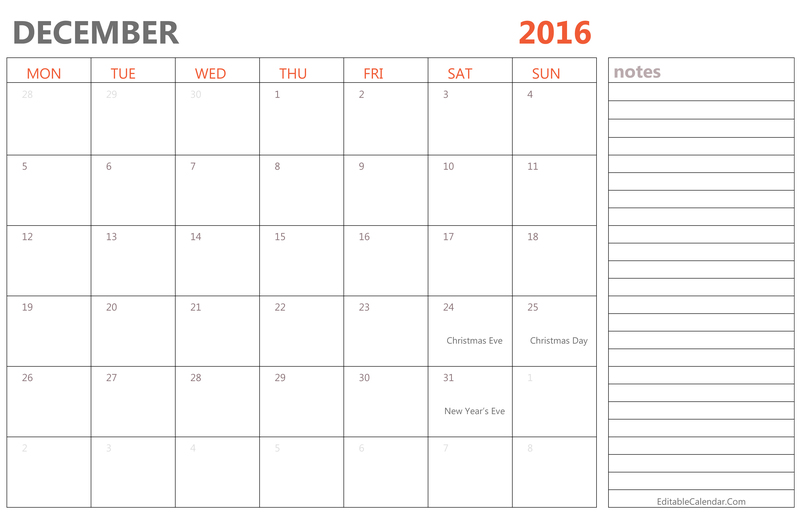 Free to download and print the Editable December 2016 Calendar. This calendar available in Word (docx) format which can easy edit and add your own events. December 2016 Editable Calendar, editable december 2016 calendar, december 2016 calendar editable. Blank March 2017 Calendar Template Blank March 2017 Calendar Template – A free editable calendar for March 2017.